Do you love taking your featherweight to classes and retreats? You will love this table package including a Large 18x23 Sew Steady Acrylic Extension Table . 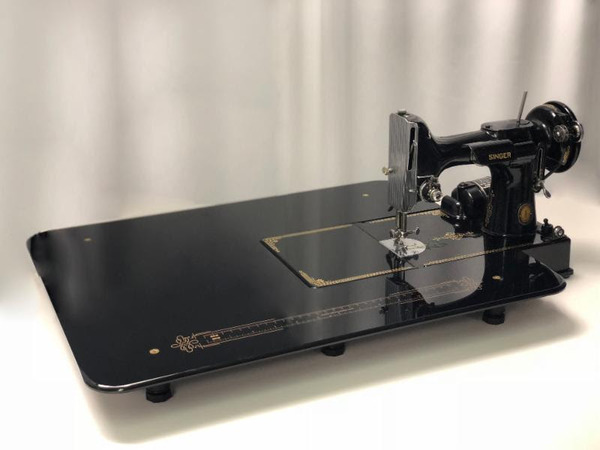 Inspired by the sewing machine that never goes out of style, our Classic Featherweight Table is made exclusively for the Black and Gold Singer Featherweight 221. Black acrylic is printed with gold details, including a 16" ruler on the front edge. This 17-3/4" x 22-1/2" Table also comes with our Sew Steady Acrylic Shine Polish Kit. 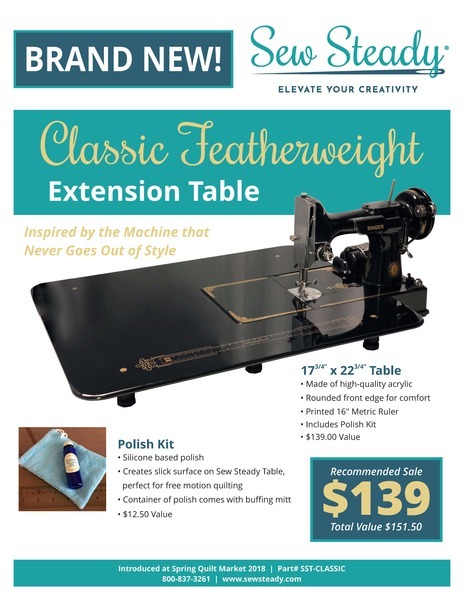 Sew Steady SST-S106 Classic Black Featherweight Large Extension Table 18x23"
2018 the 85th anniversary of Singer Featherweight 221 sewing machine. Will you be using Bernina's #72 Ruler Foot?